A powerful graphics card is the most important part of PC build intended for gaming. But, a relatively powerful CPU is required in order for games to shine in their fullest. Now, not everyone needs the most expensive CPUs like Intel Core i7’s or AMD Ryzen 7’s; these high-end CPUs are great, but most modern graphics card like the Nvidia GTX 1080 should work completely fine with Ryzen 5 and high-end i5 CPUs (like the Kaby Lake Core i5 7600K, or the new Coffee Lake Core i5 8600K). When we say completely fine, we mean most games should achieve more than 120 frames per second on a 1080p resolution, which are excellent numbers. But, what if your budget is limited and you need relatively cheap CPU to combine it with a mainstream graphics card like the Nvidia GTX 1060 or Radeon RX570? Well, we have an answer for that problem, but let’s not get ahead of ourselves. Before we start talking about specific models and why they are good (or not so good) for gaming, let us see which tasks CPU handles in games. Just one notion before we continue. As for AMD CPUs, we’ll talk just about Ryzen because older ones can’t match gaming performance of Intel CPUs and new AMD Ryzen CPUs. While graphics cards are used for, well, graphics and some physics simulations, CPUs have to do much more stuff, important stuff that makes games work. For instance, CPUs are used for things like collision detection, making sure player’s info and data are in check (like your health, inventory in RPG games, your stats, etc. ), saving and loading the game, and similar operations. More importantly, CPUs are used for most physics simulations. Bullet penetration, armor impact, destructible environments (one of the reasons why Battlefield 1 is so CPU taxing is the fact that maps offer completely destructible environments that feast on CPU resources), and things like communicating with servers on multiplayer games can be pretty demanding with certain titles, causing even core i5 models to sweat. Another important thing CPUs are tasked with in games is AI (artificial intelligence). While this isn’t a problem in multiplayer games without bots, some game genres use advanced AI mechanics in general, so they are known as the most CPU intensive. These genres include real-time and turn-based strategies, as well as some racing games, where the player is pitted against lots of opponents. But, in general, the most demanding genre are strategy games. When you play a strategy game your CPU has to handle pathfinding for all units on the battlefield; it has to calculate the behavior of every unit on the battlefield, and on top of all that it has to perform physics simulations, which can end up eating all processing power. In grand strategy games like Civilization or Total War series, where a player is pitted against many AI opponents that all have their own empires, CPUs have to calculate an incredible amount of data every turn, making those the most demanding video games of all, when it comes to CPU resources. Another quite taxing (and quite important) task assigned to a CPU is draw calls. In other words, CPU has to tell the graphics card what to draw and how to do it. It plays the role of a manager, while the graphics card plays a role of a performance worker, who can do a lot but has to have clear instructions on how to do it. Draw calls can be very demanding, but that depends on a particular game’s engine. As you can see, a CPU has lots of assignments in video games, and while they aren’t as fancy as those performed by a GPU, they are very important and can be pretty taxing. Now, some game engines are built to use just one or two CPU cores, while others can use many cores and as many threads as available. The former prefer CPUs with high IPC (instructions per cycle) values, while the later like more cores and Hyper-threading. IPC (Instructions per cycle, or instructions per clock) numbers present single-core power of a CPU. The better IPC value is, the more power a single core will deliver. While Intel dominated ever since the company released its Core architecture back in 2006, AMD managed to get very close with Ryzen processors, but they are still lagging behind Intel in single-core performance. Because of the fact that most modern game engines (still) rely on 2 to 4 cores to do all the work, Intel processors are generally better suited for games. But, it is worth noting that there are more and more games that can use extra cores and threads, like GTA V or Civilization 6, and in those games, AMD Ryzen CPUs can get ahead of Intel. And using more than four cores is important since Ryzen 5 and 7 CPUs come with lots of cores (6 and 8, respectively) along with hyper-threading, which is disabled only on the entry-level Ryzen 3 series. Usually, one physical core can work on one thread at a time, but with hyper-threading one physical core can work on two threads at the same time, allowing programs to recognize one physical core as two virtual cores, making them maximize the performance of each physical core. This can be best explained on the example of the relatively new Intel Pentium G series of processors that debuted at the start of 2017. Usually, Intel enables hyper-threading just on 2-core i3 processors and 4-core i7 processors (top i7 models have more cores, but they also are extremely expensive). This made i3 CPUs a solid choice for gamers on a budget because most games use up to 4 cores, physical or virtual. And Because Core i3 CPUs have hyper-threading, they behave like 4-core processors, enabling games to utilize their two physical cores to the max. Since four virtual cores aren’t as powerful as four physical ones, 4-core i5 processors are still noticeably faster in games even though they do not support hyper-threading. Now, Intel debuted three Pentium G models with hyper-threading in January 2017 (Pentium G4560, Pentium G4600, and Pentium G4620). Usually, 2-core Pentium and Celeron CPUs are not suited for gaming because they have just two physical cores without hyper-threading capabilities, offering very poor results in most games. But, the three Pentium G models provided excellent gaming performance for the money, with the $70 Pentium G4560 becoming the best budget gaming CPU since it offers Core i3 performance for half the price. Intel soon stopped producing hyper-threading Pentium G models, because their profit margin started to drop. People stopped buying Core i3 CPUs because they could buy Pentium G models and get the same performance for half the price. This shows just how much hyper-threading can influence gaming performance, and while most games still don’t use more than four cores, more cores with hyper-threading capability is the future of gaming CPUs. IPC and hyper-threading are the two main differences between Intel and AMD Ryzen processors. While Intel CPUs offer better single core performance, AMD Ryzen processors all come (except Ryzen 3 models) with hyper-threading capabilities. Hyper-threading makes Ryzen CPUs better at some modern games that use more than four processor threads, as well as for multitasking purposes and for programs that use lots of threads (like video editing, or rendering software). Also, Intel CPUs are capable of reaching higher clock speeds, something AMD must work on the next iteration of Ryzen, that should arrive at the start of 2018. A debate as old as age itself. This question had a very easy answer up until 2017. Before Ryzen came, everyone who knows a bit about PC hardware would recommend Intel CPUs. Older AMD processors were considered if your budget was limited and you needed lots of cores. But with the release of Ryzen processor line, AMD again become a worthy alternative to Intel CPUs. Things changed a bit with the release of a new Coffee Lake processor line from Intel because the company had to answer AMD’s great price-performance value. And Intel did that by increasing the number of cores. Now, Core i3 models come with 4 physical cores (but without hyper-threading), Core i5 have six cores (no hyper-threading) and Core i7 comes with six cores and hyper-threading capabilities. Intel introduced a new, high-end CPU line called Core i9 offering up to 18 cores and 36 threads, but the starting price is set at $970. This means new Coffee Lake CPUs come with even more power, but are still limited when it comes to hyper-threading capabilities, which are available only on Core i7 CPUs. So, when choosing between Intel and AMD, you should look at your needs in the first place. If you are a purely a gamer who doesn’t have a need for lots of cores and threads, who doesn’t work with powerful programs or isn’t a massive multitasker, you should buy Intel. If you are a gamer who streams games and who uses their PC for a variety of purposes and needs a CPU that has lots of cores and threads while at the same time is ready to sacrifice a bit of gaming performance for better multitasking capabilities, you should buy AMD CPU. There are a couple of cases where you should think before getting an Intel CPU. The first case is if you plan on overclocking your processor. As most of you probably know Intel enables overclocking only on K models, all others cannot be overclocked. On top of having to get a K model, which are more expensive than regular ones, you also have to buy a high-end motherboard because only top-of-the-line chipsets support overclocking capabilities. On the other hand, all Ryzen processors support overclock, and only the entry-level Ryzen chipsets (A3xx) come without overclock support. The second case is if you want to buy an expensive motherboard along with a bit more entry-level processor and plan to upgrade the CPU later when you have the money. In this case definitely, go for the Ryzen because AMD recently announced that all current AM4 socket motherboards would support all future Ryzen processors until 2020. This means that you can buy a solid Ryzen 5 1500X or a Ryzen 5 1600 (currently the best choices for a gaming CPU that costs under $200) and replace it after a couple of years with a new generation Ryzen CPU that will (probably) offer a noticeable performance jump. On the other side, we have Intel, a company known for locking new CPUs to new sockets and new chipsets. With the release of Coffee Lake generation, Intel introduced a new socket that’s exactly the same as the last one used with Kaby Lake and Skylake CPUs (socket 1151), but Kaby Lake motherboards cannot be equipped with Coffee Lake processors. This makes Intel very bad when it comes to their chipsets being future-proof because once you decide to change your CPU, you will probably also have to buy a new motherboard. The third case is if your budget sits between $150 and $200. In that case, buy one of Ryzen 5 models (they all come with 6 cores and 12 threads) because they are the best choice for under $200 gaming CPUs. New Coffee Lake Core i3 models do come with 4 physical cores, and should offer solid gaming performance, but cannot match Ryzen 5 models. There are a lot of things to take into account when it comes to buying a CPU. 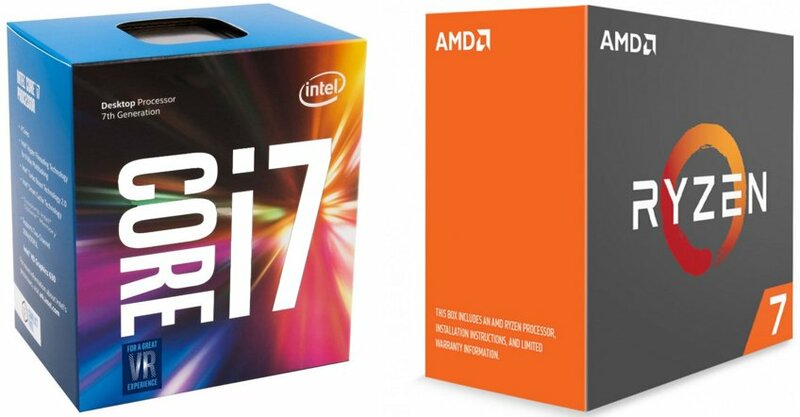 Intel has been dominate for a while but AMD is back in the game. AMD offers more cores and threads for less money than Intel. This makes them a good choice if you not only game, but do serious computer work like video editing and the such. Intel however has the best gaming chips on the market hands down. Less people do highly demanding work that requires so many cores so for a lot of people these are the best chips. At the end of the day it mostly boils down to what you think is more important, raw power (Intel), or multi-tasking (AMD). Now, after we answered the good old Intel or AMD question, let us see what we think are the best options out there. If you are on a tight, sub $100 budget, definitely go for a Pentium G4620: 2 Core, 4 Threads 3.50 GHz Base clock, with Hyper-Threading. For less than $100 it’s a steal. The AMD Ryzen 5 1500X: 6 cores, 12 threads, 3.50 GHz base clock with Turbo up to 3.70 GHz. This has to be one of the best bangs for the buck, a great chip that won’t break the bank. 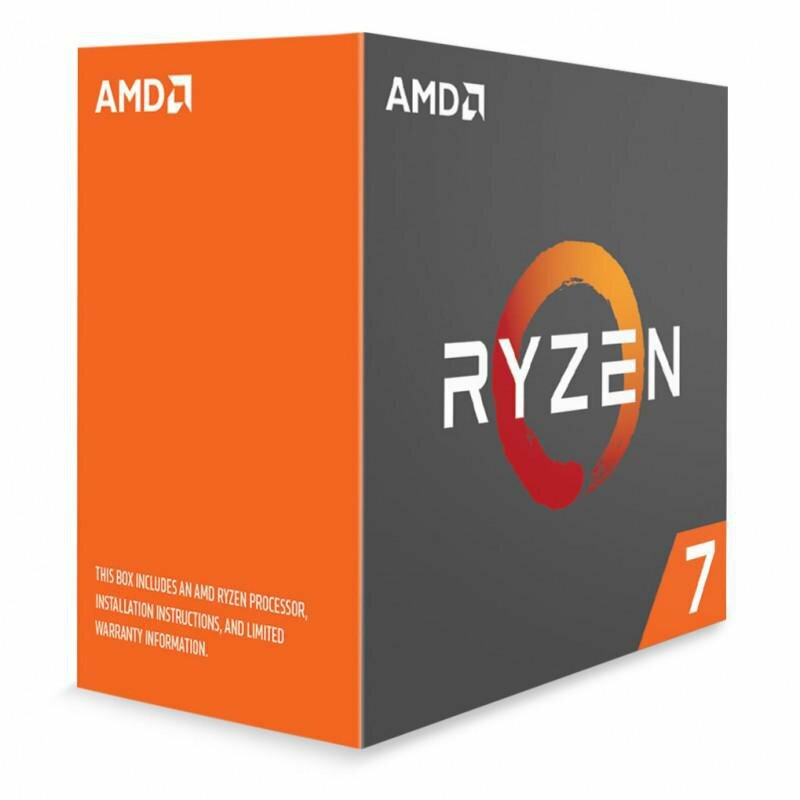 The AMD Ryzen 7 1700X: 8 cores, 16 threads, 3.40 GHz base clock, 3.80 GHz Turbo. If you do lots of multitasking, video editing, or the likes and willing to sacrifice a little gaming performance for better overall multitasking, this should be you pick. 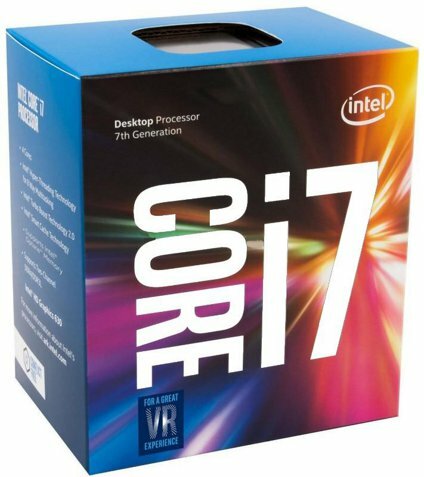 The Intel Core i7-7700K: 4 cores, 8 threads, 4.2GHz base clock and 4.5 GHz boost, and is ready for overclocking. If you want one of the best gaming CPUs out there, look no farther.